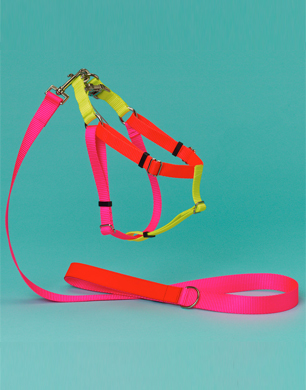 Your pup may wear a harness for health and safety reasons, but this doesn’t mean that they can’t look thoroughly awesome and on-trend at the same time. Here’s our pick of the coolest dog harnesses available right now. 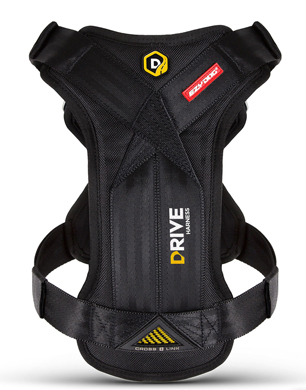 The IDC powerhouse is the updated version of the brands iconic K9 dog harness. Designed to be durable, comfortable and practical, this harness is designed with both pets and active service dogs in mind. The Innova Dog Comfort (IDC) Powerharness has been specially designed to be comfortable for dogs to wear over long periods, as well as being extremely secure. Available in a wide range of sizes, colours and prints. 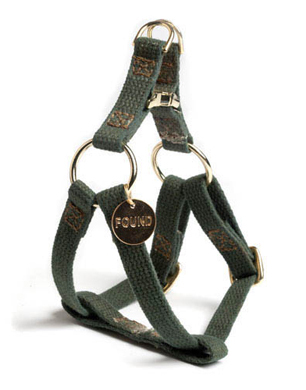 As the camo and khaki trend continues, we’ve kicked off our selection with this tough cotton, hand dyed dog harness from Found My Animal. Handmade with love in Brooklyn NY, this hardwearing dog harness is double stitched for extra strength and finished with the brands signature brass ID tag. Also available in orange and navy, add an adjustable rope dog lead to complete the look. Made in Switzerland by outdoor adventure experts Curli, this technologically advanced air-mesh dog harness combines style with practicality. Constructed in 3D, these durable dog harnesses are finished with a unique rotating snap fastening. Curli also offer LED dog safety lights which easily attach to any dog harness, collar or lead. 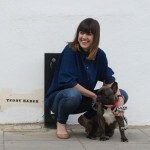 From quintessentially British brand Mutts & Hounds, this soft linen dog harness is a comfortable take on a classic. In muted colours and happy go lucky pet inspired print, this harness is available in a variety of sizes and is made to order. Other colours and prints also available. Constructed using the highest quality materials this adjustable car harness is light, durable and incredibly strong. 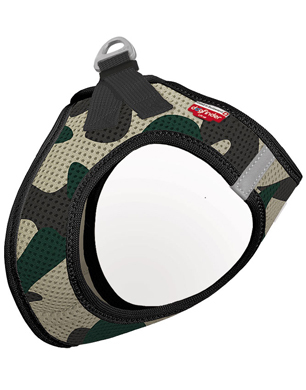 With padded and moulded chest plate this dog harness will mould to the shape of your dog for superior comfort. Finished with double stainless steel D-rings, this travel harness has been fully crash tested to conform with Australian, European and USA safety standards. With a nod towards the iconic Dr.Marten boots, this dog harness enables you to be fully in control of your pup whilst both looking super cool. 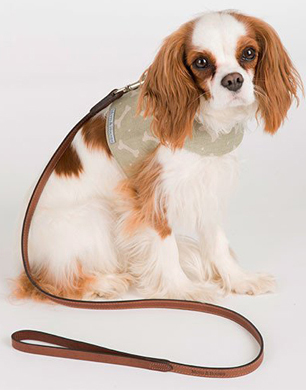 Made in the UK using super soft leather, this practical dog harness provides a statement yet timeless look. Available in a variety of colours and finishes. Back with the camo trend, our final dog harness is technologically advanced in its construction whilst remaining effortlessly cool. 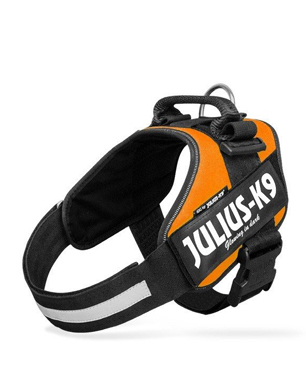 Made using a lightweight stretch mesh fabric with unique cooling properties when immersed in water, this dog harness is the perfect outdoor accessory. Available in a variety of colours and materials.